Sidewalks have been broken apart and hauled away. 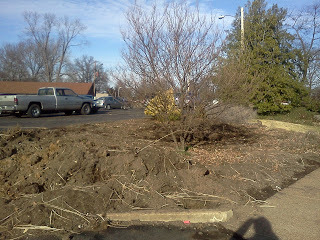 Curbing was removed from around the circle. 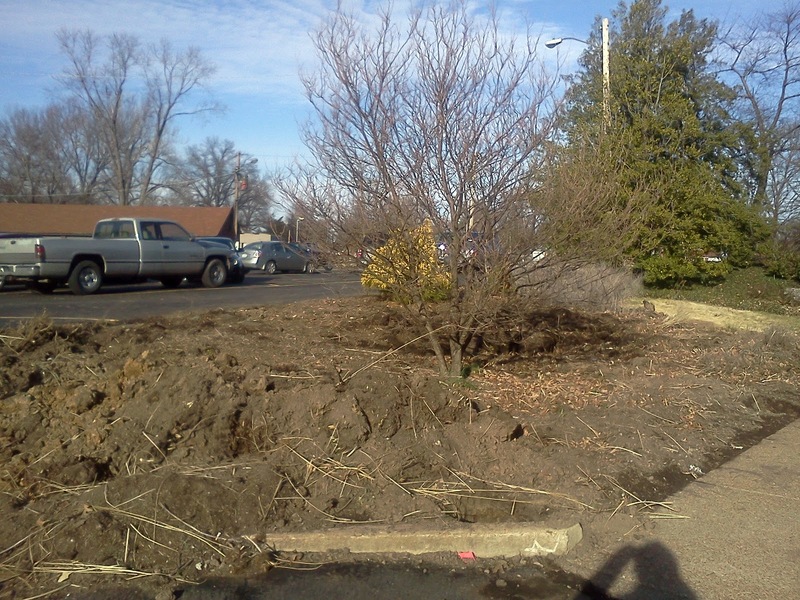 Additional plant material removed and pavers have been lifted. 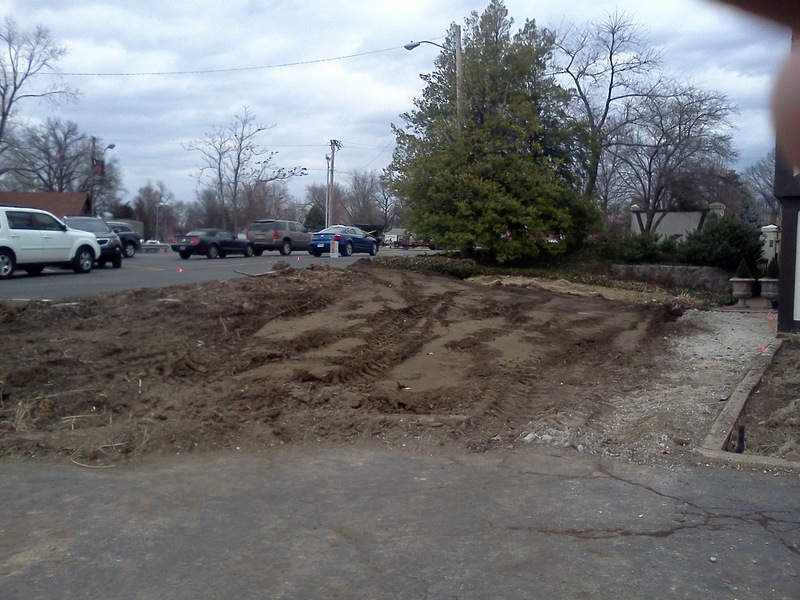 The boulders and dirt that made up the mound in front of the formal entrance has been removed over the past couple of days. 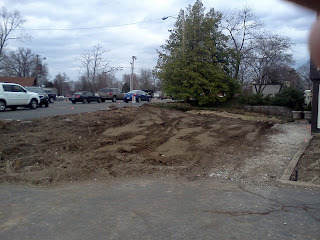 The concrete contractor is to begin their work on February 6th. 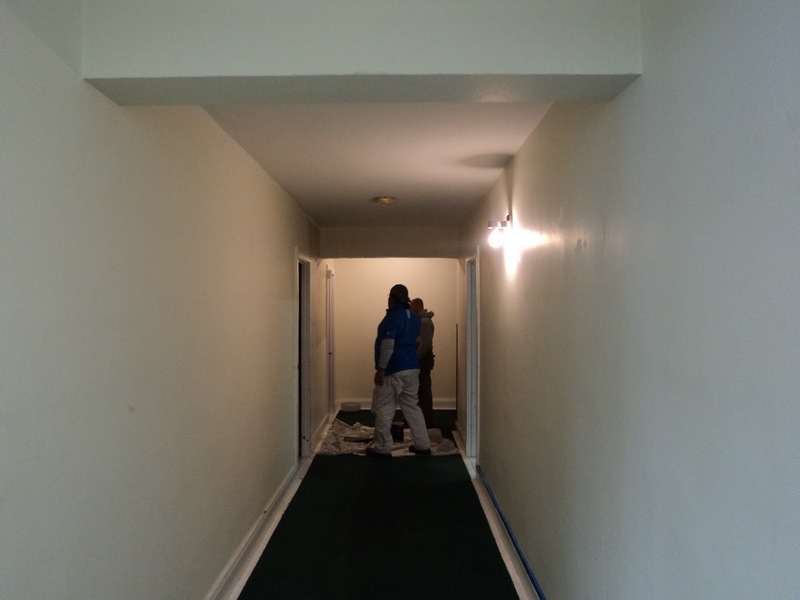 Attached are pictures of the work completed by our staff over the last couple of days. I will try to provide you with a schedule of work in the next few days. Sidewalk being broken apart and removed. 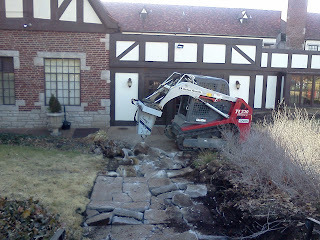 The old curb being removed. 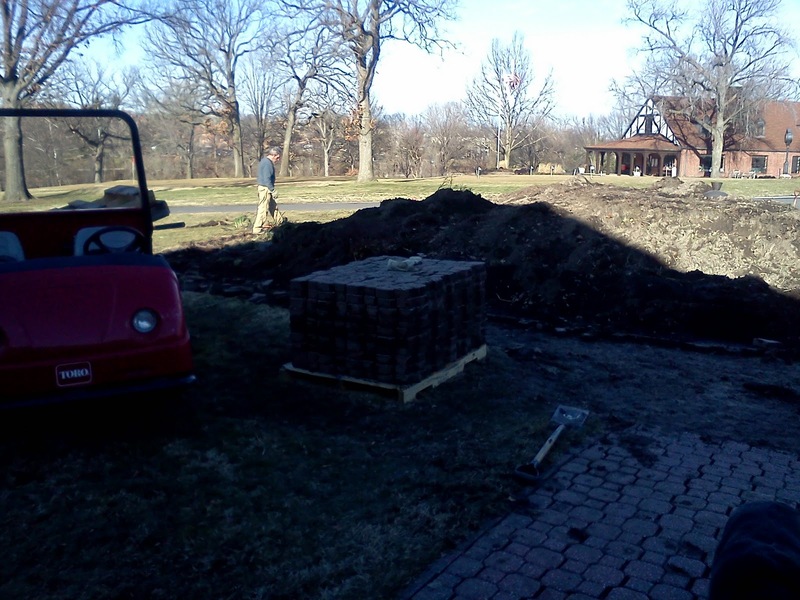 Pavers being picked up and hauled away. 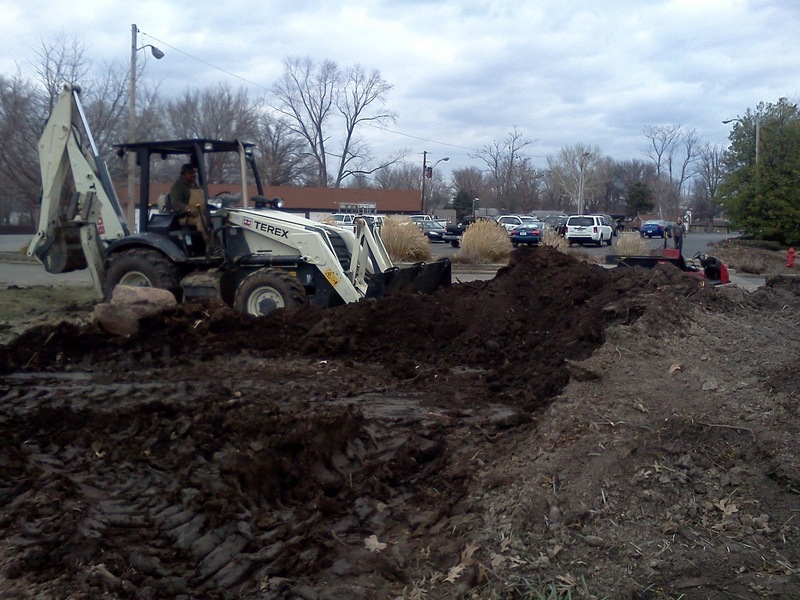 The dirt mound being removed. 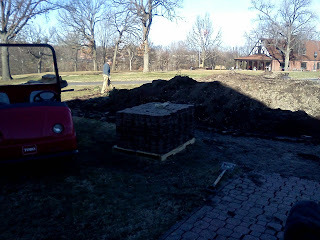 The dirt will be stored for future use. The area in front of the Olympic room entrance. 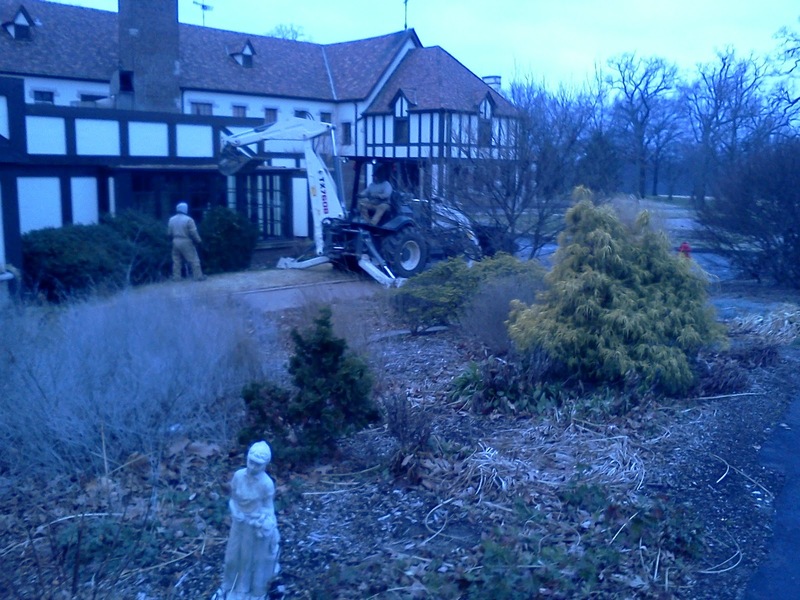 Tom and Skip removing the holly shrubs against the Olympic Room windows. 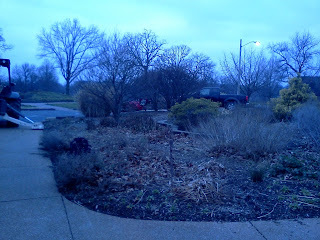 A view of the large bed looking out toward the parking lot. 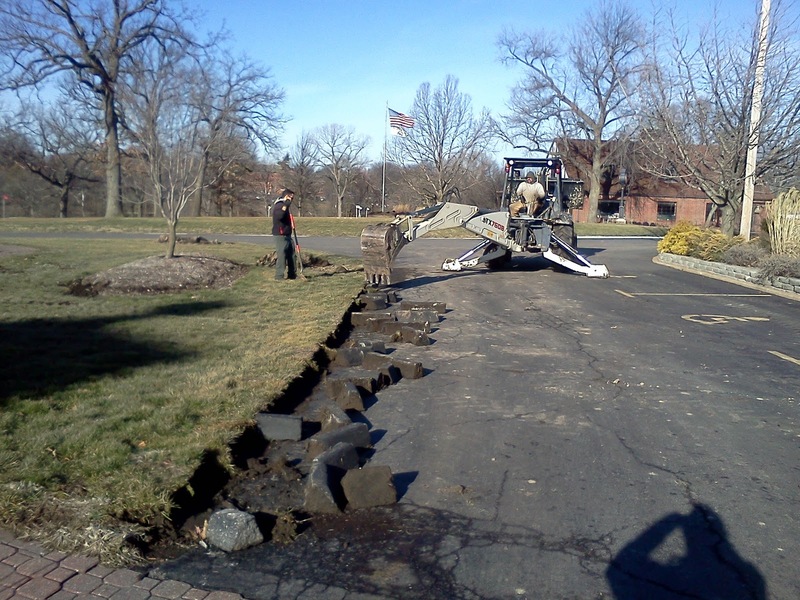 Plant material and irrigation heads removed in preparation of the new ADA compliant walk paths and landscaping. All steps will be removed for ease of access for all of our members and guests. 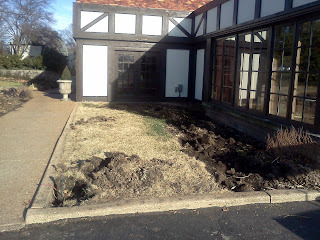 View from the loading dock area into the casual entrance and Olympic Room windows. First maple sap collected and boiling! Collected over 20 gallons of sap during the first day and Chef Rob is boiling it down to produce our very own Glen Echo Golden Syrup. The 6' culvert along #1 which was laid yesterday along #1. They are working on the upper end of the driving range pipe today getting the shot rock laid into place at the beginning of the box culvert before the rain arrives on Wednesday. 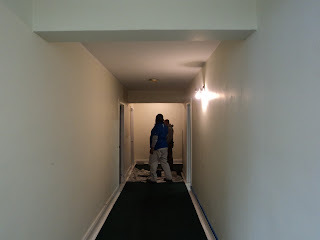 First few sections along #1 were installed. 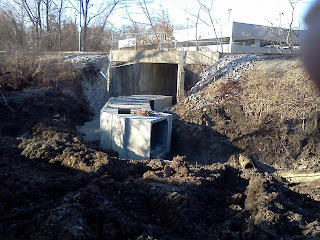 That is a 6' opening on the culvert that goes underneath the metro link tracks where it flows toward River Des Peres. I've tapped about 18 trees to collect the maple sap that we turn into wonderful Glen Echo All Natural Maple Syrup. With the moderate temperatures over the last few weeks, we have hit a perfect stretch of tempatures under 32 degrees at night and above 32 degrees during the day and sunshine which supports flowing of the maple sap. Hopefully, we will have a great collection of sap this year which will boiled into maple syrup. 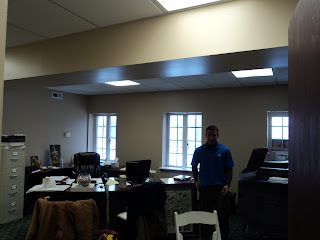 Please check out the links from the past if you would like some additional information on the process. You will notice some changes in our program over the last couple of years. The first year we used two liter bottles and 1 gallon milk jugs. Last year we used 5 gallon home depot buckets and that is what we are using this year. A couple of years ago we used a propane burner and my brother's iron firewood cooker. 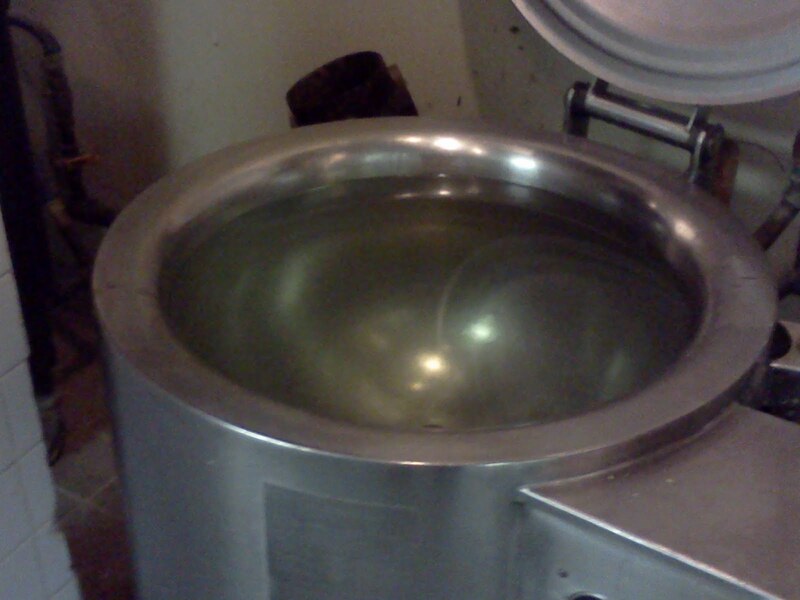 Last season, Chef Rob and staff used their steamer in the kitchen to boil down the sap to syrup. 43 gallons of sap to make 1 gallon of Golden natural syrup so you can understand our need and desire of have a good flow due to the amount of sap that we need to collect to make a good amount of syrup. Maple sap dropping into a collection bucket along #18 fairway. Nice video of the Eagle doing some nest cleanup in preparation for egg laying. The staff received a reprieve from the cold the past two days. 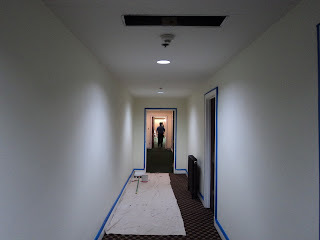 They painted Membership Director Heather's office and are now painting the hallway wall and ceiling that runs between the administrative offices in the clubhouse. Box culvert in the background. A close up of the box culvert going into the ditch on #1. I found this site on the internet that you might find interesting from Harrison, TN. Not a lot of activity at this time but I'm sure it will be a very active in the next couple of months with eggs hatching and baby bald eagle activity. It will be great for kids to view.